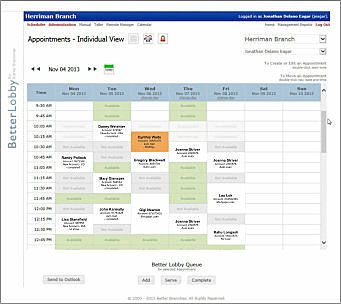 The Better Lobby Solution supports two Appointment Modules. 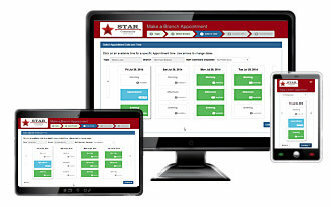 The first module is used by staff to manage Branch Appointments within the Credit Union. The second module extends the Branch Appointment Calendar to the Web/Mobile channel so that members can digitally schedule appointments at their preferred branch without the involvement of staff.